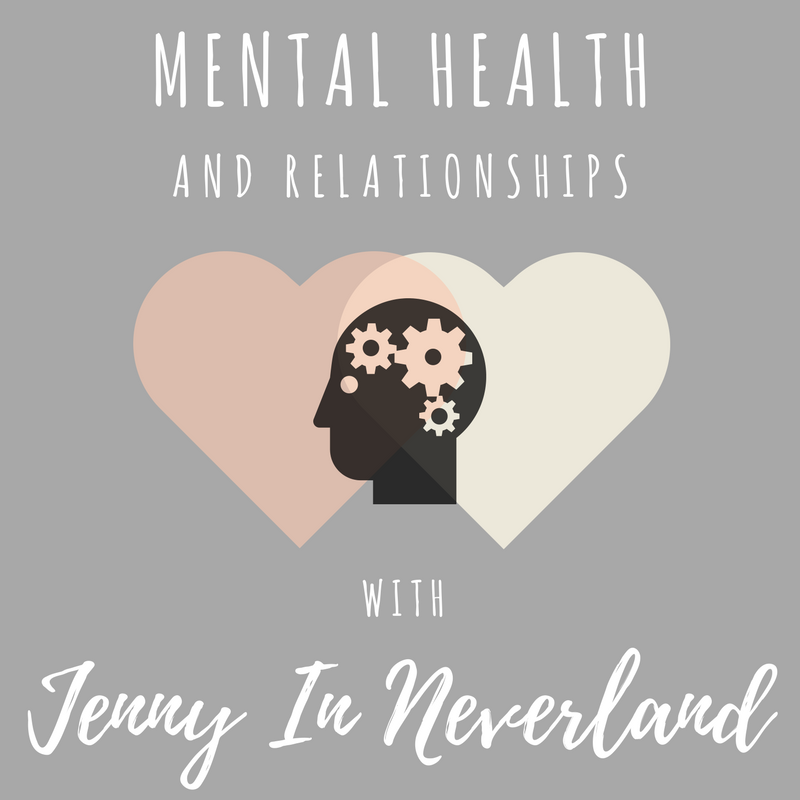 Mental Health + Relationships - with Jenny in Neverland! It's time for part two of this little collab series, and I'm thrilled with how well it's already doing. My most viewed blog post last week was the first part featuring Marc Lamberts - and since that was published I've had lots of requests from people who want to join in! It's brilliant that so many people are interested in hearing about people's experiences, and I'm so excited to be sharing Jenny's story today. Jenny is a brilliant blogger, running Jenny in Neverland where she, amongst other things, writes pretty much the best book reviews on the internet. In fact, it's Jenny's fault that the number of reservations I've made at my local library is embarrassingly high, but I'll let her off this time. She's also utterly hilarious on Twitter, has the most beautiful Instagram feed, and has a Facebook page you should go hit like on. Hi! I'm Jenny, I'm the blogger behind Jenny in Neverland! I blog about a bunch of different topics including book reviews, product reviews, lifestyle, discussions, travel, food and mental health. My proudest post is probably this one - What's the Point of Book Reviews? - which incidentally, is the one that's done the best! I developed Generalised Anxiety Disorder in around 2010/2011 (I honestly can't remember the exact month) after a pretty nasty bout of the flu. I'd never had the flu before like, proper, and it hit me hard. I couldn't eat, I was always shivering and had a massive fever, being sick and was pretty much bed-bound for two weeks. Something inside my head switched during that period and I found it incredibly difficult to get "back to normal" afterwards for the fear I was going to burn up and pass out or get ill again. And that's it, long story short. I went to the doctor when I realised I wasn't and couldn't function anymore and that's when I was diagnosed. It made an awful lot of sense because I had no idea what was happening to me. Aside from the normal, "job interview", "first date" type nerves we all experience, I was pretty much anxiety free for my whole teenage and adult life. I wrote more extensively about my experience here: Mental Health Awareness: My Story. Yes, I had to. I literally had no choice because I went from being a bubbly, out-going person who was always out with friends, at parties or clubbing, making plans, wouldn't sit still for a minute and didn't have a care in the world to literally being terrified to leave the house. There was no way I couldn't mention it because it was so obvious, so severe and naturally, people were worried. I can't remember how the conversation started, to be honest. It wasn't just one big "sit down, I need to tell you something" conversation. It was little bits of conversation all over the place. I don't think I had a very typical start to a mental health disorder. I mean, I know everyone's experiences are different and nobodies would fall under the "normal" umbrella in this case, heck there isn't even a "normal umbrella" anyway but this was like a truck had hit me and my life had changed moment. 3. How have those closest to you reacted? Any particularly positive or negative reactions? How have these reactions to your MH affected your relationships? My mum was - and still is - very supportive. She was the one that went with me to doctors appointments, took me to counselling, phoned different counsellors, suggested I try this and that and supported me when I did. She was my rock when I was out of the house and I always felt a little bit less scared if I knew she was there with me. But of course it was easy for her but she's been my biggest support. My dad didn't understand and still doesn't really. 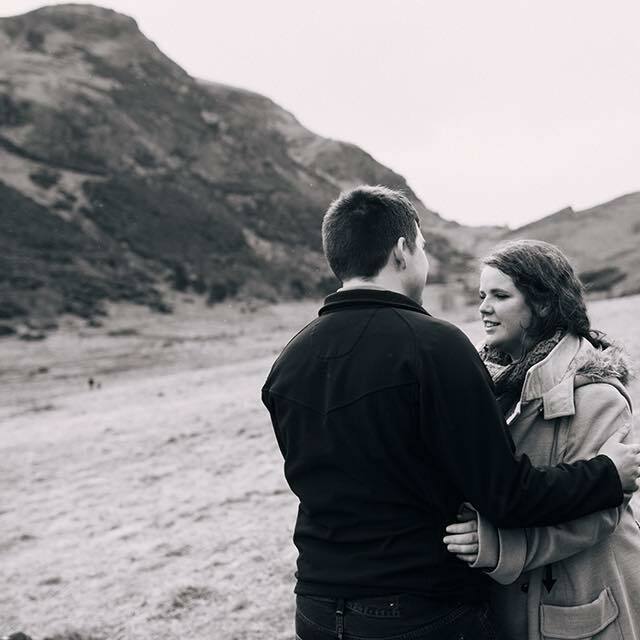 It doesn't get brought up with him and there was a particularly tough moment when I was alone in the car with him and I had a mini panic attack, and he shouted at me because he didn't understand what was going on or why I would be panicking. Obviously anyone that's been through that knows you don't always need a reason, sometimes it just "happens" but he didn't get that. But I don't hold it against him. My boyfriend at the time (now my ex but whom I'm still good friends with so I don't mind talking about him) was incredible. He was so supportive and helpful, and always understood if and when I was feeling anxious. He was always willing to help me "tackle" new situations that were scary for me - like going into a shop or driving. He never had a bad word to say and he was someone I felt so, so safe with in such a fragile condition. I couldn't thank him enough for that but I know for a fact that my problems were weighing him down massively; it ruined our relationship and I can't help but think it ruined his life a bit too. 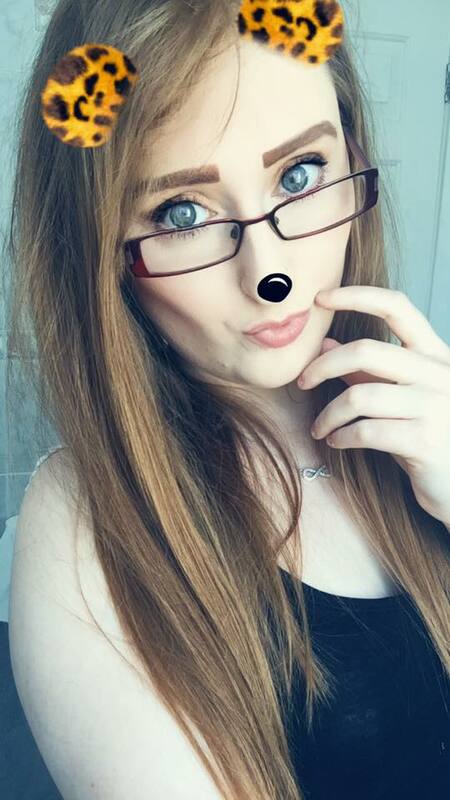 As I said before, I was extremely outgoing and fun beforehand and we were always going out, drinking, having fun doing what 18/19 year olds do. But when this happened, that stopped because I couldn't go out. Going to a pub or club was enough to send me into a meltdown. He sacrificed a lot of nights out and days out for me because I mentally couldn't go and I couldn't thank him enough, but to this day it makes me feel so incredibly guilty and it's one of my biggest regrets. Thankfully now he's found a wonderful partner who suits him a hundred times better than I ever did. Friend wise, my best friend at the time and I no longer speak or see each other, and it is largely to do with my mental health. Again, because I couldn't go out or mentally do much, our relationship suffered. She called me a bad friend and since then it just got worse and worse really until, you know how it goes, you both stop texting and that's it. Friendship over. I don't think it could be salvaged now as we're both so different now. She was supportive at first but it just seemed like she lost her patience with me, which is sad. But it is what it is. 4. In the reverse, how have your relationships affected your mental health? I think every relationship we have with everyone affects our mental health in some way or another. I think my mum has always improved my mental health; as I said I always felt calmer around her when I was in the worst of my anxiety. I look up to my mum a lot so (providing we aren't arguing!) she always tends to have a positive impact on my mental health. Other people, not so much. I think it can be difficult when someone has a very different state of mine than you. But obviously it can't be helped because we're all different and we can't change people for our own sake. It's just something we've either got to learn to live with and deal with or cut them out of our lives completely. For example, someone in my life at the moment is very hot headed and gets annoyed at things very easily and I don't. After all my anxiety problems, I really don't sweat the insignificant stuff any more so it's always been quite difficult for me to remove myself mentally from that perosn when they're in a mood. But I'm getting better at it and it's definitely improved. 5. Is your mental health something you actively talk about with your loved ones, or do you prefer not to discuss it? Are there any pros or cons to your approach? I used to talk about it a lot more than I do now. I talk about it much more online now than I do with real-life people. I may mention something to my mum every now and again if I'm particularly nervous or anxious about anything but on a whole, it doesn't get brought up anymore because I feel a lot better in myself and I can function now. I don't feel the need to talk about it anymore because I know what it is, I know what makes me anxious and I also know how to deal with it if it arises. So for me, I'd rather not talk about it. Not because I'm embarrassed but because I feel that I'm "past it". It'll always be with me and I'll probably always feel an element of anxiety in everyday life but it's something I can deal with now so for me, it's a big pro for it not to be a part of my conversation any more. I only like talking about it so much online so that I can help someone else who may be going through what I went through. 6. Is there anything you wish you could tell those closest to you, or wish they understood? What is stopping you from telling them? For me, not really. I think everything that needed to be said, was said over the past 4 years. Maybe I'd tell them now that I do still get anxious sometimes and it's just as important as it was back then, when it was really bad. So don't overlook it just because I'm better. 7. What advice would you give to people who want to tell their loved ones about their mental health? Start with one person that you trust and start small. Tell them one thing that's making them anxious and see how the conversation goes, then gradually build up and up until you've told them everything you feel comfortable telling them in that moment. But don't be disheartened if they don't understand at first or if they're not very supportive because it takes people who haven't been through it a while to understand. It's so difficult to understand. 8. What advice would you give non-sufferers who want to support their loved one with their MH? LISTEN. Please, just listen to what they are telling you. Don't talk over them or dismiss what they're saying. Don't "suggest" things like "maybe it's just this or that". That person knows the inside of their own head better than you ever will and you can't diagnose them or tell them what they're feeling. Be supportive. Suggest things. But don't force them to do anything they don't want to do. 9. Are there any support systems (other than loved ones) you use that you'd recommend for those who may need them? Samaritans are an absolutely wonderful company who are available 24 hours a day, 7 days a week - every single day of the year. You can ring them for free (call 116 123) and speak to a completely random, unbiased person about how you're feeling with no judgement. They are such a lifeline for many people so I would desperately encourage anyone who doesn't know what to do, maybe doesn't have anyone to talk to in that moment, is alone and feeling scared or anxious or depressed to just ring them. I wrote a post on them here: My Experience with Samaritans. Massive thank you to Jenny for being so open and honest with me. It's so wonderful that she's had a supportive influence like her mum in her life, and that her ex-boyfriend was so helpful too. I do wonder, though, how many of us have also blamed ourselves and our mental health conditions for the breakdown of relationships and friendships. Please remember that for every person who is rude and unsupportive, there's another just waiting to meet you who will be 100% on your team. I think Jenny's story does show that we still have a long way to go in educating people about mental health. I really feel that there's another very important message to take away from this collab: it can get better! The fact that Jenny is now in a place where she feels much more comfortable is a little bit of motivation for me to get there too. I hope that you found it just as inspiring! Thank you again to Jenny for taking the time to answer my questions, and letting us all get a better insight into the struggles of mental health issues and relationships. If you'd like to be involved in this project, feel free to email me, chat to me on Twitter, or comment below. This was a really brilliant post, thank you for sharing. It is hard to talk about but it is great when you have someone close that understands- it makes so much difference. Thank you. That is all I can say right now. Just thank you. I am working through.